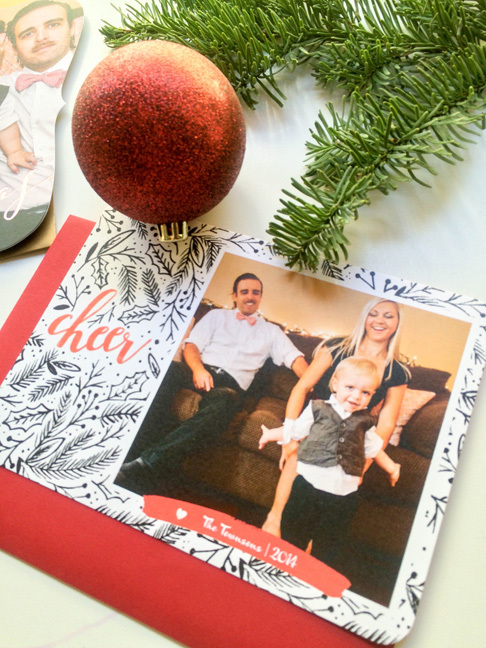 Red and green have long been the colors of choice for holiday cards and clothing, but as much as I love the traditional Christmas look, it’s not one I gravitate toward for my own family’s annual photo shoot. The way I see it, if I’m investing in a professional photographer and card printer for my holiday cards, I’m choosing classic colors. Stylish and festive shades will not only stand the test of time, but they’ll allow the photos to be used long after the holidays are over. And because this may be the only opportunity to gather my family together to capture the moment, neutral color palettes simply make sense. Granted, it’s not always easy. As the mom of a toddler, one of the most challenging parts of every day is finding an outfit my son will actually wear. I try to encourage his creativity, but things get tricky when it’s time to take our holiday photos. For some reason, my son can’t understand that his favorite airplane shirt doesn’t mesh with my plan for a seasonal photo session. What are your family’s favorite colors? Look to family members’ wardrobes and your home décor for ideas. Should everyone in the family match, or would you prefer to complement each other? Will you be indoors or outdoors? Are layers necessary? 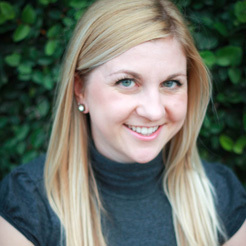 Do you want to use accessories — hats, scarves, or props? How many different outfit options should you gather for everyone? It may take some convincing for your spouse to wear gold, but consider shimmering accessories rather than a blingy main piece. 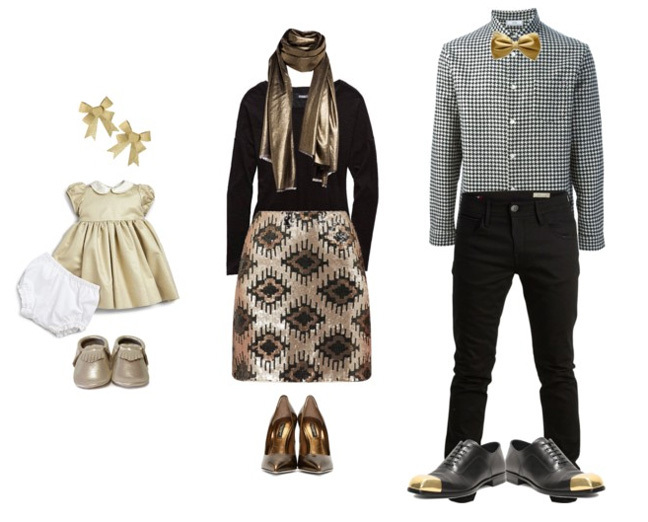 For men and boys, try a gold bowtie, ascot, vest, watch, belt or cuff links. You may even find a shirt with a subtle gold pattern. Women and girls could wear ivory as the main shade but dress it up with layered gold necklaces, bangles, a watch, earrings, a statement necklace, headband, belt, stockings, leggings or shoes. Everyone has something grey in their closet, and it’s really easy to pull together a huge variety of outfits using different shades of grey. From cozy heather to cool silver, this versatile color doesn’t have to be dull. Play with texture and have fun layering for a warm, interesting look. Deep burgundy and maroon tones evoke a feeling of luxury, opulence and glamour. 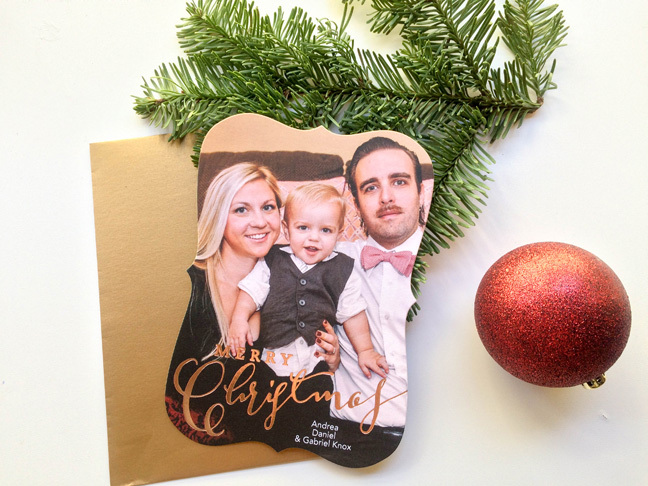 If you’re going for a more vintage or regal look in your holiday cards, browns and rich red tones are perfect. Burgundy and brown are colors that cross both the fall and winter season, so you won’t be limited to clothing that’s only trendy around the holidays. If you can’t decide on a color, go colorless! Black and white is classic and looks great when photographed. 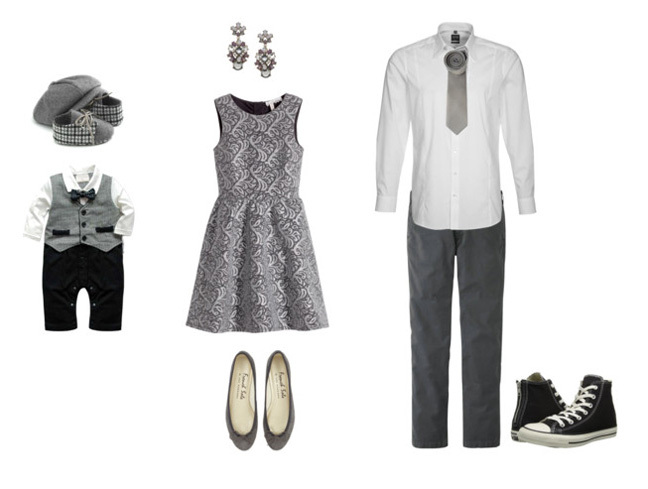 If you’re a modern family, you can’t go wrong with black and white. Mix and match apparel pieces and accessories for a look that is crisp, clean and anything but basic. Glitz and metal are very popular now, and nothing says holiday like a little bit of sparkle. Look for pops of metallic texture on shirts, woven into pants, or leggings and ties. Don’t go overboard with the shine, though — too much can be overwhelming in photographs, so aim for subtle metallic accents. 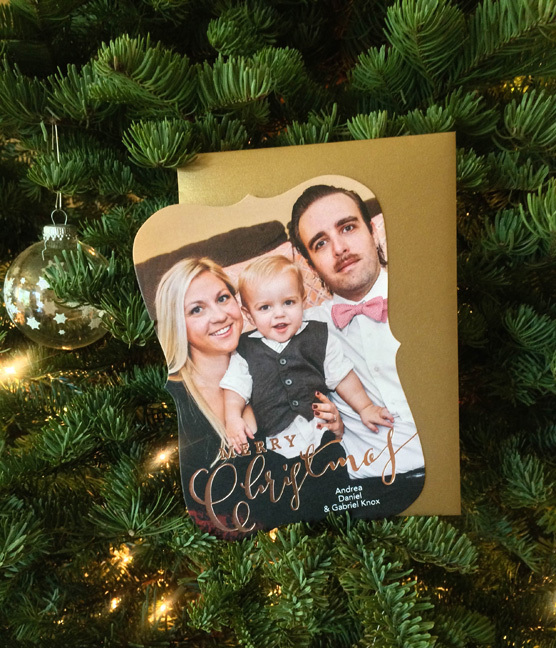 There are plenty of glittery holiday card templates that feature gold foil that would complement this look well. 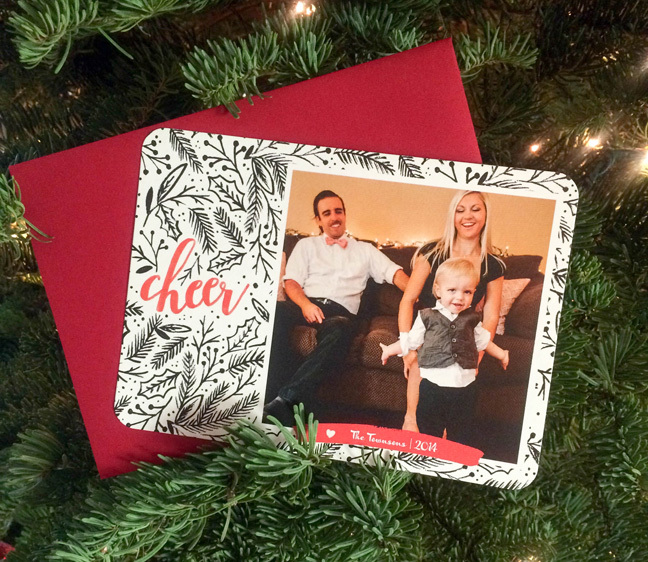 To show off your family’s preferred palette, upload your photos into a customized holiday card at tinyprints.com. Share your ideas for alternative holiday colors in the comments below!